MAGVIEW DELIVERS A HIGHLY CUSTOMIZED BREAST IMAGING, REPORTING, TRACKING AND WORKFLOW MANAGEMENT SYSTEM. 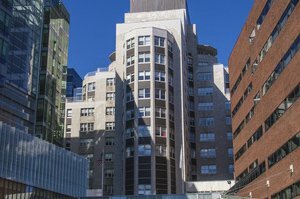 In the early 1990’s, the Breast Imaging Division of the Massachusetts General Hospital, under the leadership of Dr. Daniel Kopans, internally developed a system for mammography reporting, tracking and research. The system allowed the department to eliminate transcription, and provided full MQSA compliance. Over the years, MGH developed many enhancements to the system, allowing the system to serve their changing needs. In 2004, despite the fact that they were generally happy with the functionality of this system, they decided to review other mammography information systems, to see if they could find a system that suited their needs even better. “Although our group was happy with the efficiency of the existing system for screening cases, we were looking for a single system that could improve the workflow and efficiency of radiologists for all breast imaging exams. We were also interested in improving the workflow for our Image Service Representatives, and achieving a broader level of integration with our other systems,” says Len Levine, Data Services Manager, and MagView Project Lead. In reviewing Mammography Information System vendors, MGH focused in particular on the vendor’s ability to provide customized solutions to their specialized needs, and provide a high level of support, training and extended service. After thoroughly reviewing all available vendors and products, MGH selected MagView. During the implementation process, the MagView team successfully met each goal which had been outlined in the project plan, including full integration with the IDX system in place; implementation of a rapid reporting macro system which MGH had previously designed; development of a specialized automated worklist management feature; development of customized pathology tracking features; implementation of an automated reminder letter system based on an interface with the existing scheduling system; and development of customized management reporting features.